Alec Stewart OBE was born in Surrey, April 1963. Educated at Tiffin Boys’ School in Kingston upon Thames, Alec made his cricket debut for Surrey in 1981. He made his England debut in the first Test of the 1989/90 tour of the West Indies. Alec Stewart was vice-captain of the England side during most of Michael Atherton’s tenure as captain, eventually succeeding him in 1998. During his captaincy, he had the unusual distinction of simultaneously captaining the side, opening the batting and keeping wicket. In 1994, at the Kensington Oval in the West Indies, Alec Stewart became the 7th English batsman to score centuries in both innings of a test match. His highest Test score, 190, against Pakistan in the first Edgbaston Test on 4th June 1992 – a match that was drawn. 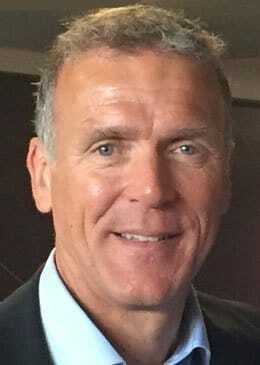 With 133 international caps, Alec Stewart is the second most capped English Test cricketer of all time. After 20 years in County and International cricket his final match was a very high profile one at his home ground The Oval against South Africa in the summer of 2003. Alec now works as a regular cricket analyst on Radio 5 Live, Sky Sports and the BBC. As a natural cricket after-dinner speaker with a confident and considered delivery, his natural comic timing lends him perfectly to the after dinner circuit. As a motivational speaker, Alec’s leadership credentials ensure his keynote speech ‘Leaving Nothing to Chance‘ offers a useful and enlightening insight into focus, dedication and team motivation amongst other aspects.